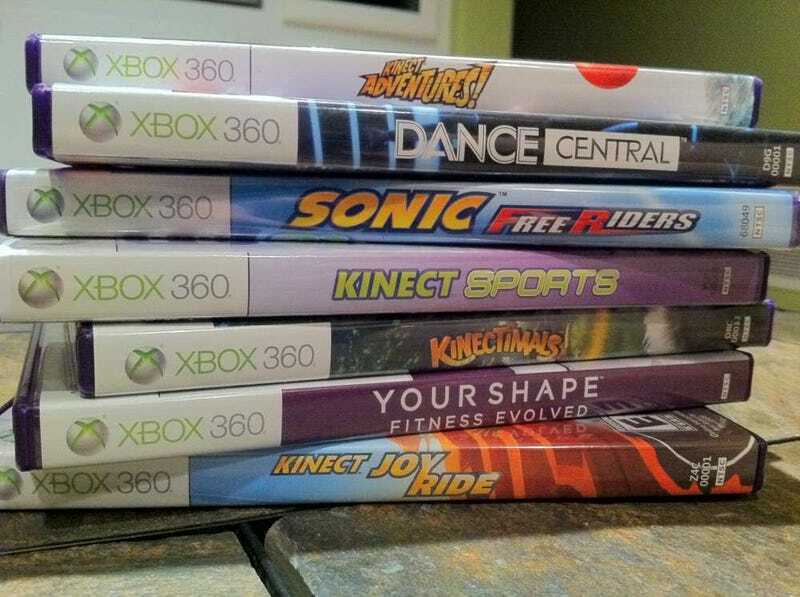 The Xbox 360's Kinect launched today with more than a dozen games. We played through half a dozen of them. Here's a run down of the reviews for quick reference. Click on the game's name to go to the full review which is much more detailed and packed with videos of us playing the games. Sonic Free Riders is the most broken of the Kinect games I've played and that includes a half-dozen titles. It's unfortunate, because another strong action racing game would be a nice addition to Kinect's game library. If Sega can somehow fix the control issues I'd be the first to recommend picking up this game. Until then don't waste your time or money. Kinect Adventures is the game that every Kinect owner will soon be playing. That's because it's the one that comes with the hardware. So it should give players a taste of what they can expect from Xbox 360 motion gaming. Dance Central is a dancing rhythm game from the folks who created Guitar Hero and Rock Band. Packed with an eclectic mix of music and dance moves from the artists, it hopes to redefine the way we play dance games. The Xbox 360 finally has its motion-based sports game. Packed with six sports, ten if you include all of the events of track and field, Kinect Sports drops you controller-free into an eclectic mix of athleticism. At last, I have a way to exercise in front of my TV without any contraptions near my body but still with a way to get yelled at if my form is bad. No joke: Your Shape: Fitness Evolved has the potential to be a huge breakthrough in home fitness.